Call or Text Listing Agent - Lori Caldwell - The Real Estate Center of Spearfish - 605-641-7529 - for more information. Gorgeous views! 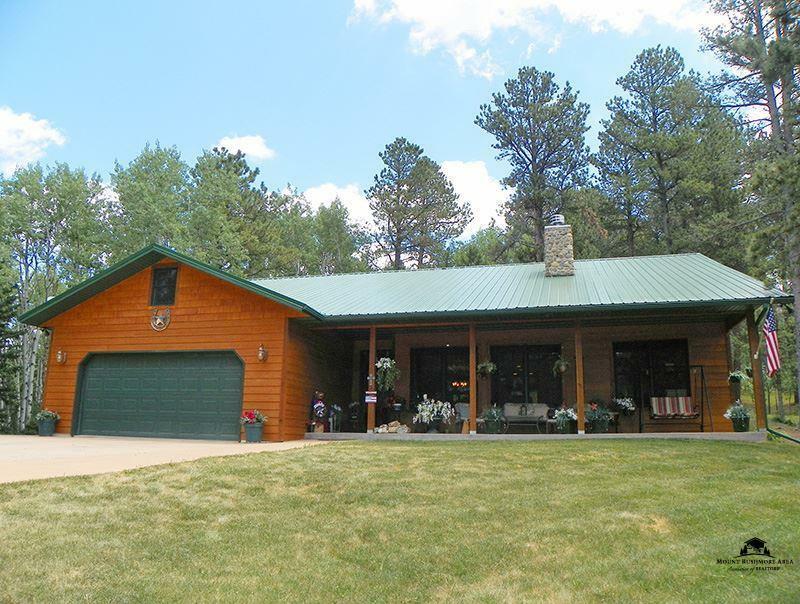 Enjoy the peace and tranquility of this home on just under four acres nestled between Spearfish and Lead/Deadwood in scenic Maitland Canyon. This home features single level living with a 4 ft crawl space for extra storage. The exquisite construction brings you the feeling of being in your perfect home. The open floor plan and large rock fireplace are a wonderful combination to enjoy family, friends, and tranquil nights. To compliment the panoramic views, there is a covered front porch and a large covered private patio area in the back for outdoor enjoyment and entertainment. The buyers responsible for verifying all information on this MLS document.